Your AWARD-WINNING Real Estate Team! 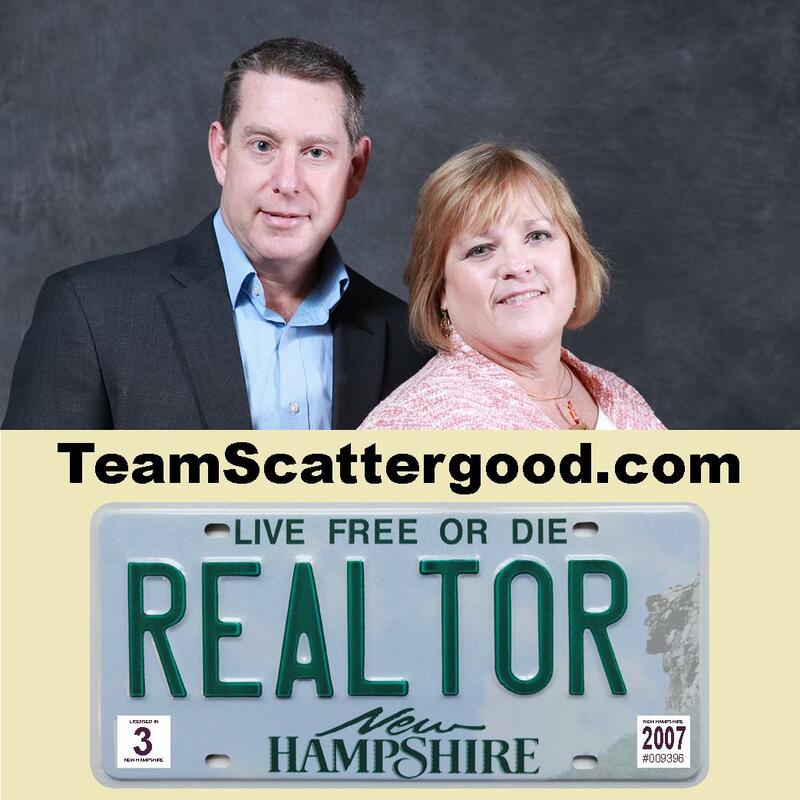 Team Scattergood is the Premier Real Estate Team in Southern New Hampshire. We provide excellent customer care and always communicate back quickly. We are committed to building strong, lasting relationships, one client at a time. We are proud to be with Berkshire Hathaway HomeServices Verani Realty. Terry & Joe Scattergood have been residents of Southern New Hampshire since 1986 which bring valuable market knowledge to the table. Their extensive professional background provides valuable knowledge in the areas of marketing, strategic planning and project management. Their advertising agency experience and real estate background blend seamlessly with their honest and trustworthy service and commitment to help you achieve your real estate goals. Words that describe Team Scattergood: Professional, Aggressive, Dynamic, Honest, Ethical, Experienced, Full-time, Communicators, Negotiators, Problem Solvers & Marketers. Terry & Joe are committed to customer service and client satisfaction. They are dedicated to an attention to detail, responsiveness and results. Their in depth Real Estate knowledge and expertise assists their buyers and sellers throughout New Hampshire. As a leader in the industry, Terry & Joe have been the recipient of many awards and has been recognized as a national Real Estate top producers. Who is the next person you know who is considering purchasing or selling real estate? We come highly recommended by past clients, friends and family. Read our testimonials at www.TeamScattergood.com. Make your next move with Terry & Joe. ©2019 BHH Affiliates, LLC. An independently owned and operated franchisee of BHH Affiliates, LLC. Berkshire Hathaway HomeServices and the Berkshire Hathaway HomeServices symbol are registered service marks of HomeServices of America, Inc.® Equal Housing Opportunity. Information not verified or guaranteed. With an improving market, we are looking for new and experienced agents to join our team. Give your career a boost by joining Berkshire Hathaway HomeServices Verani Realty. To be a strong company that provides a quality and professional real estate service with a balanced approach and progressive attitude. We believe that by bettering the lives of our customers, clients and community, we become a better company. At Verani we believe a career in real estate should involve more than an independent contractor doing business under a Brokerage. We believe in personal growth, flexibility, autonomy, financial reward, community service, job security, prestige, company support, innovation and infrastructure, ethics and integrity. For us, these are not just words. They are apart of how we run the business every day. We know that moving to a new brokerage or starting up a new career in real estate can be stressful. At Verani we don’t take this transition lightly as this is not about a job. This is about helping you grow as a person as well as growing your career. Whether you’re an experienced real estate agent, or you’re considering entering the field, you need the assurance that a brokerage you select will be there to prepare you or to help you reach that next level of success not only to start but in the long-term.